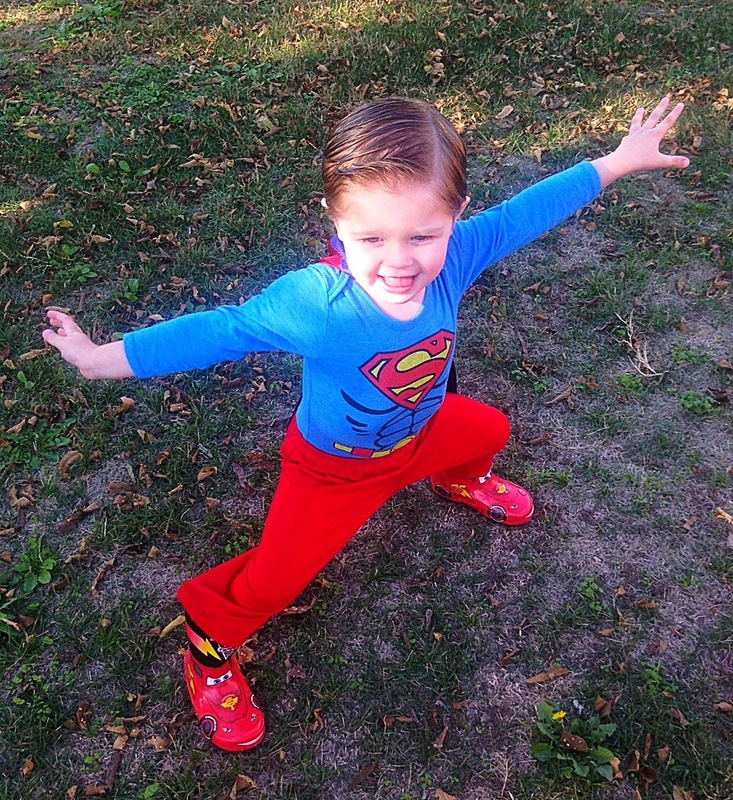 DIY Super Hero Boots | My Crazy Blessed Life! 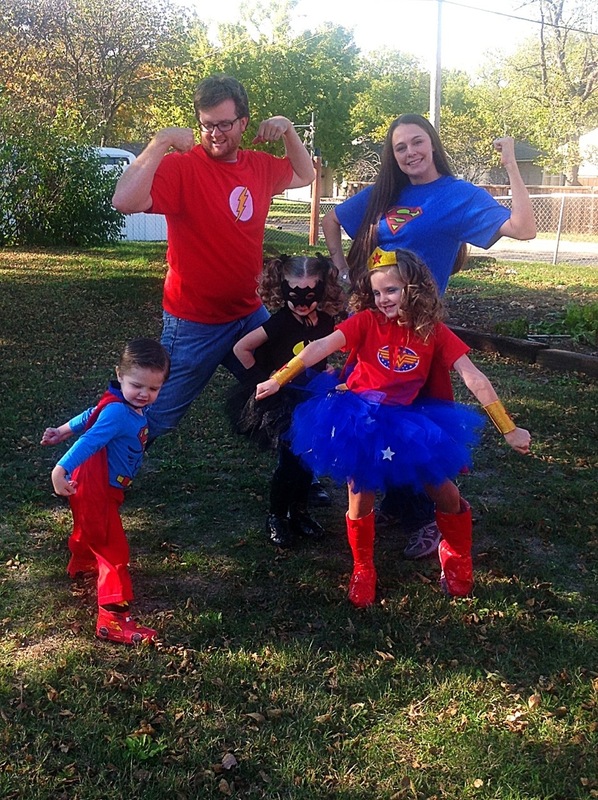 This year our family decided to be a family of super heroes for Halloween. 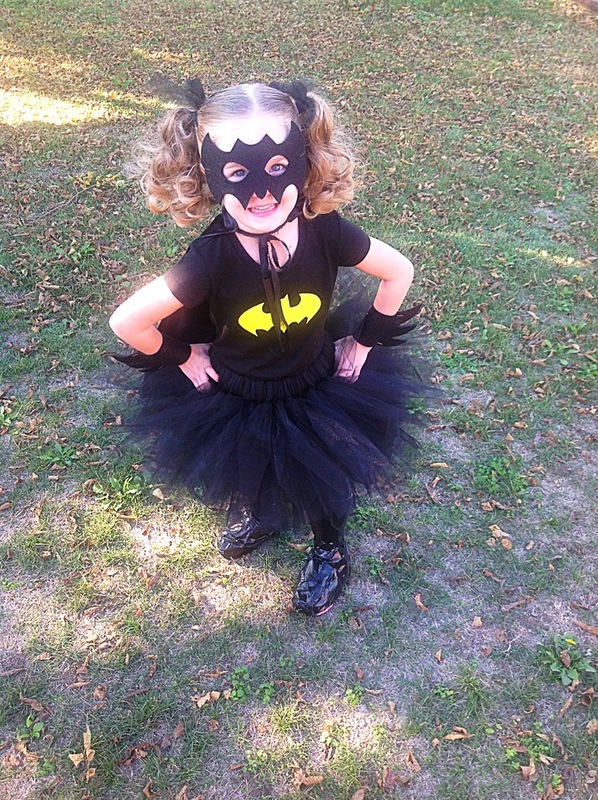 Our church has a great carnival each year and the kids get so excited to dress up for it. 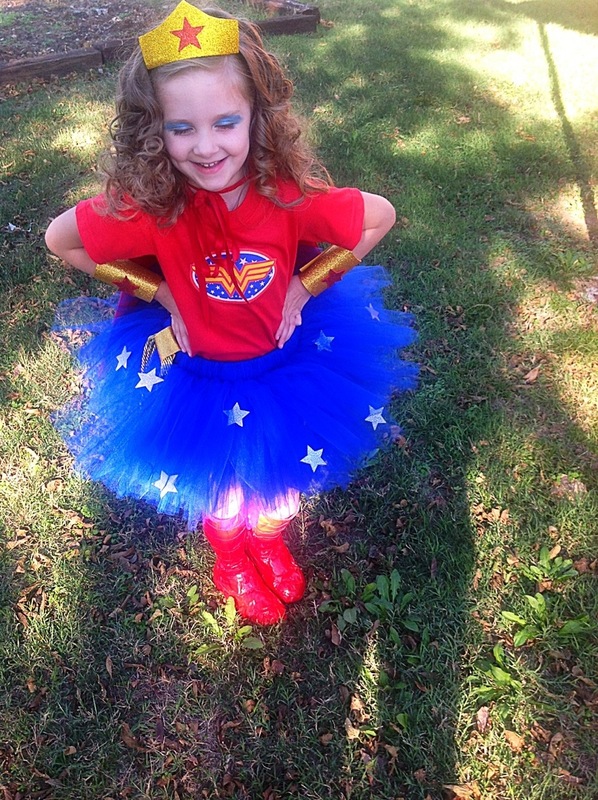 I have made their costumes each year (except one year when we made a cross country move the week before… that year grandma bought the girls monkey costumes) and I enjoy doing it. 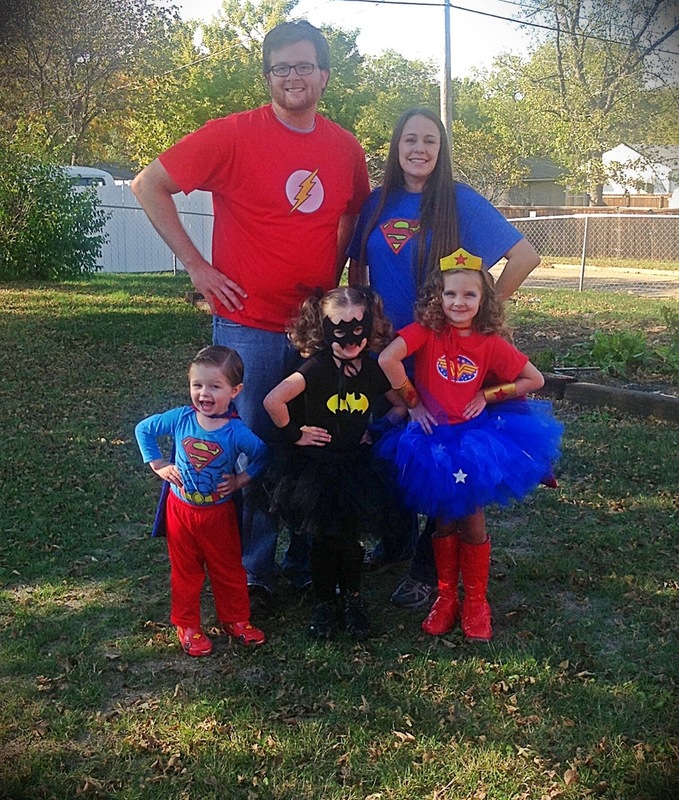 Since the Marvel Avengers are so popular this year, we decided to be different and go with the DC Comic’s Justice League. 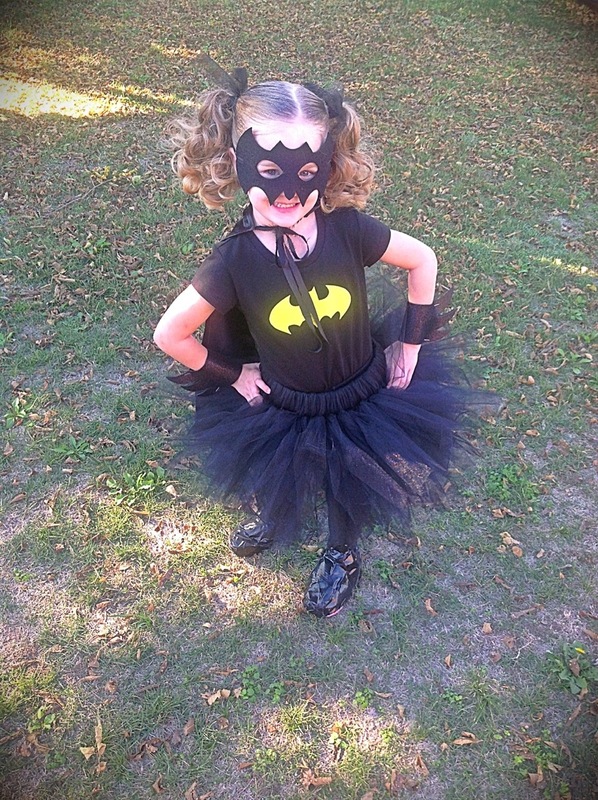 Yes, I am a comic nerd and love being different 🙂 There are only three main girls to choose from in the Justice league, Batgirl, Wonder Woman, and Super Girl. 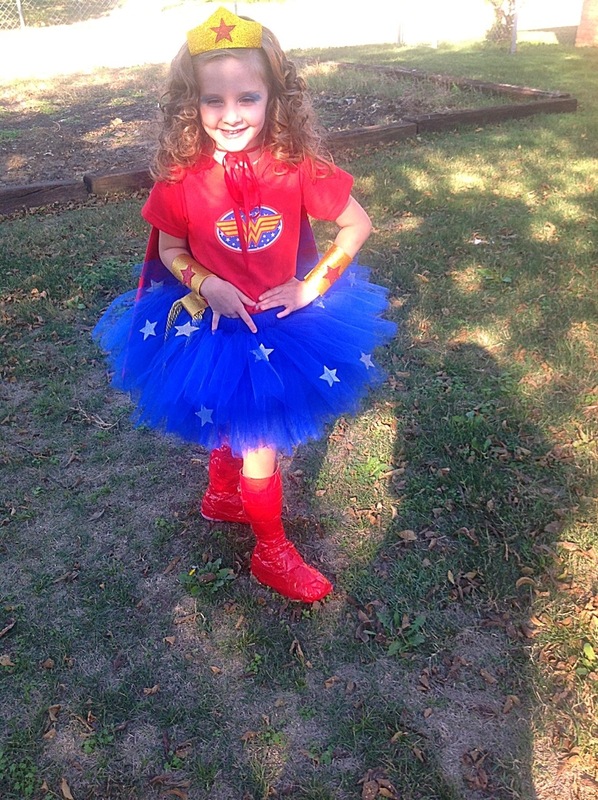 I let my girls choose first and they left Super Girl to me, which morphed into being called Super Mom by my kids (not a title I deserve). 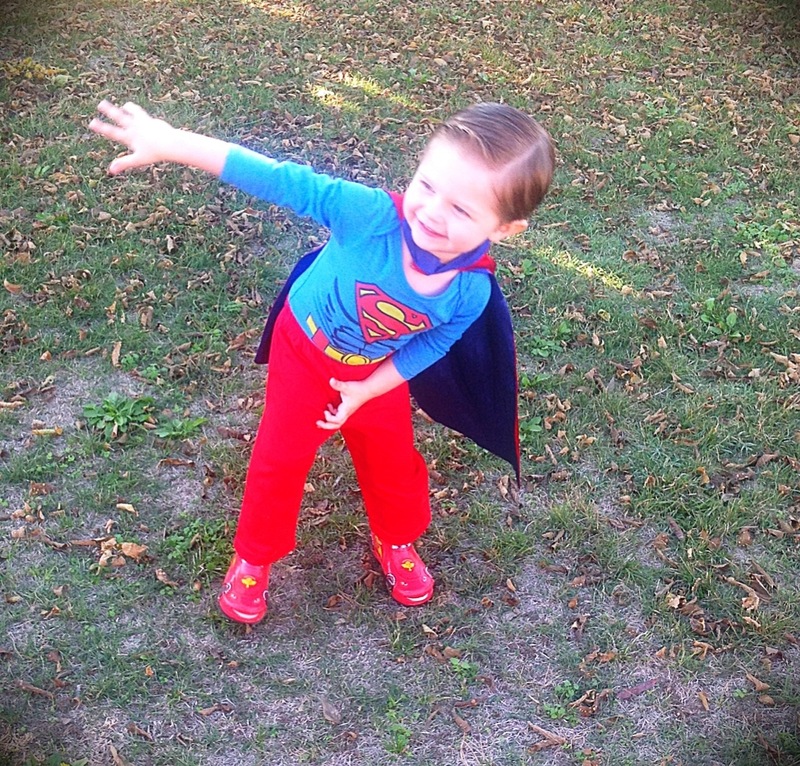 We already had Noah’s complete Superman costume and my hubby agreed to a Flash T-shirt. I LOVE Noah’s expression in this first family picture. 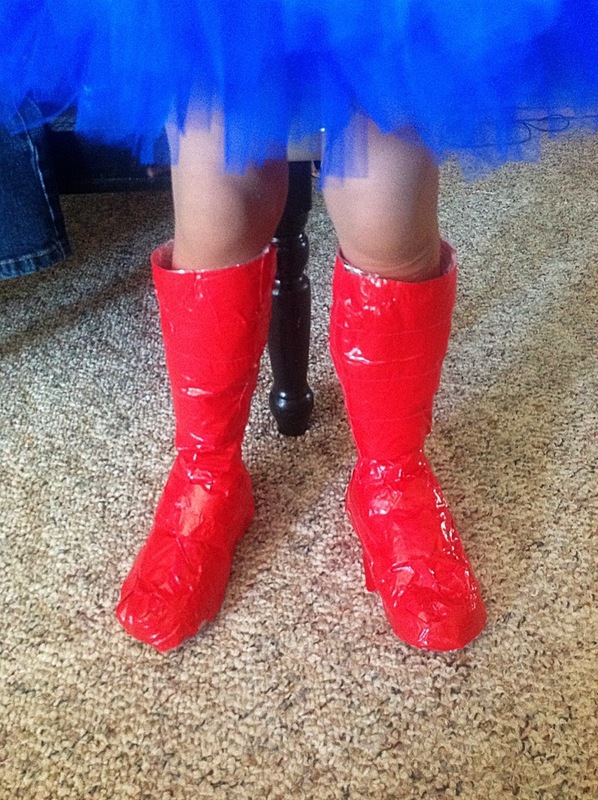 The girls’ boots are just duct tape! 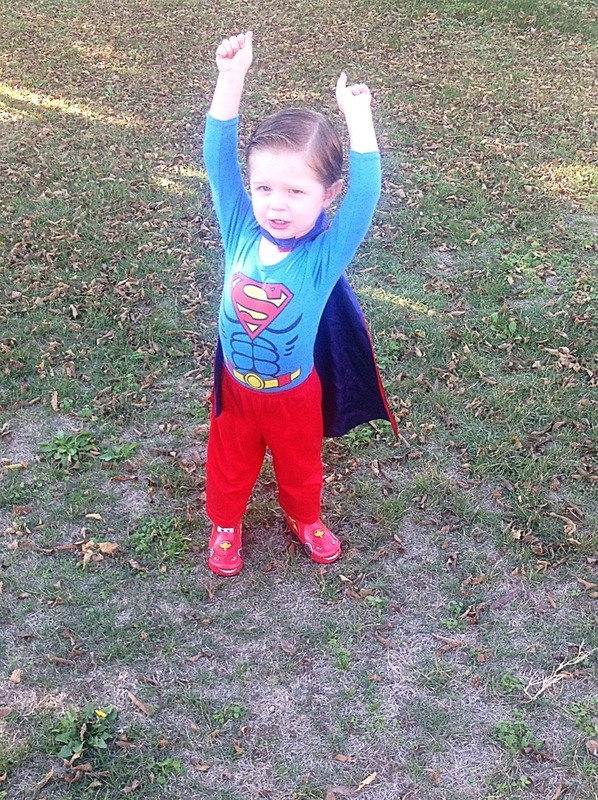 I knew buying super hero boots would be way out of our tiny budget. So I got creative. 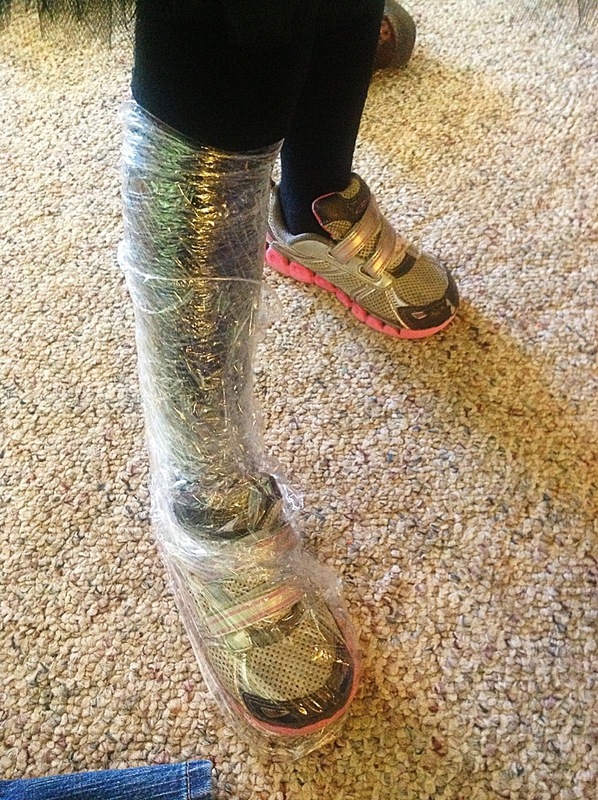 I let the girls put on some old sneakers and then wrapped their legs and shoes in plastic wrap. 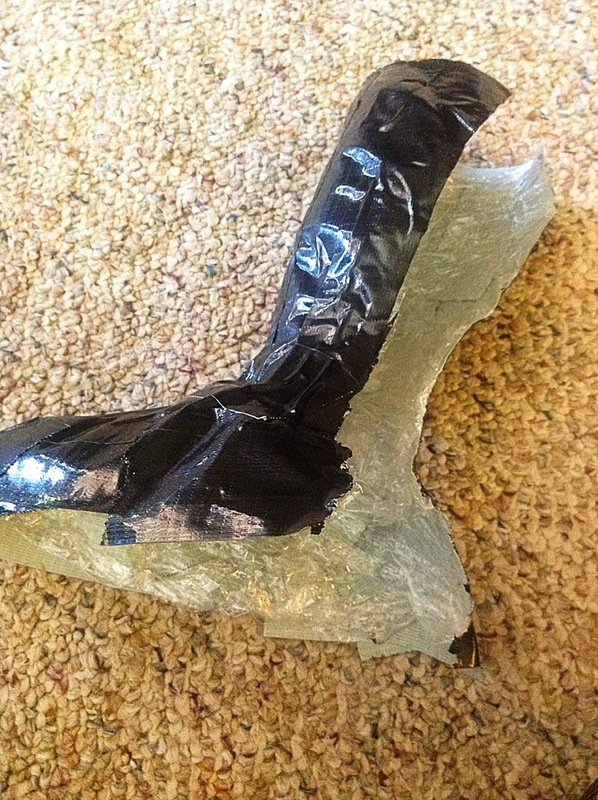 Then I just started duct taping in small pieces until their shoes and legs were covered up to just below their knees. Then I carefully used scissors to cut them down the back to remove them since I made them in advance. 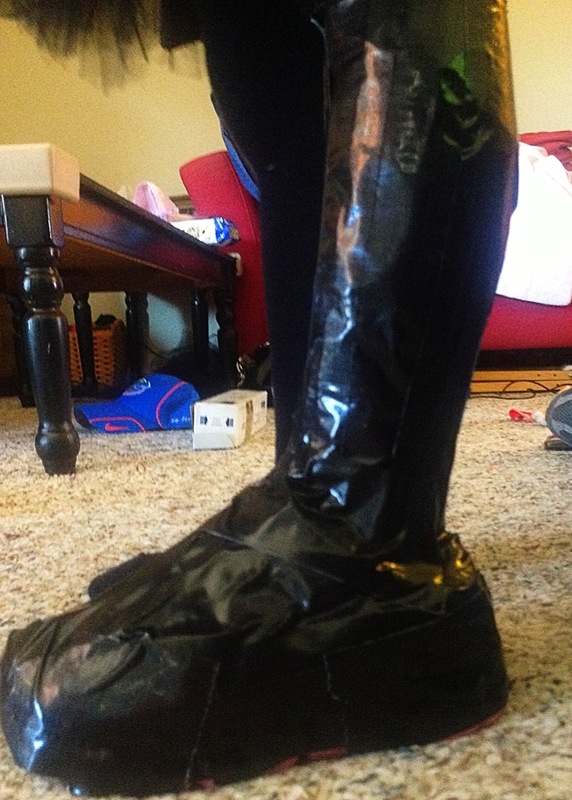 Then when I put them back on then I added some plastic wrap and tape to the top part so they were more boot like and not skin tight at the calves. Then taping where I cut. 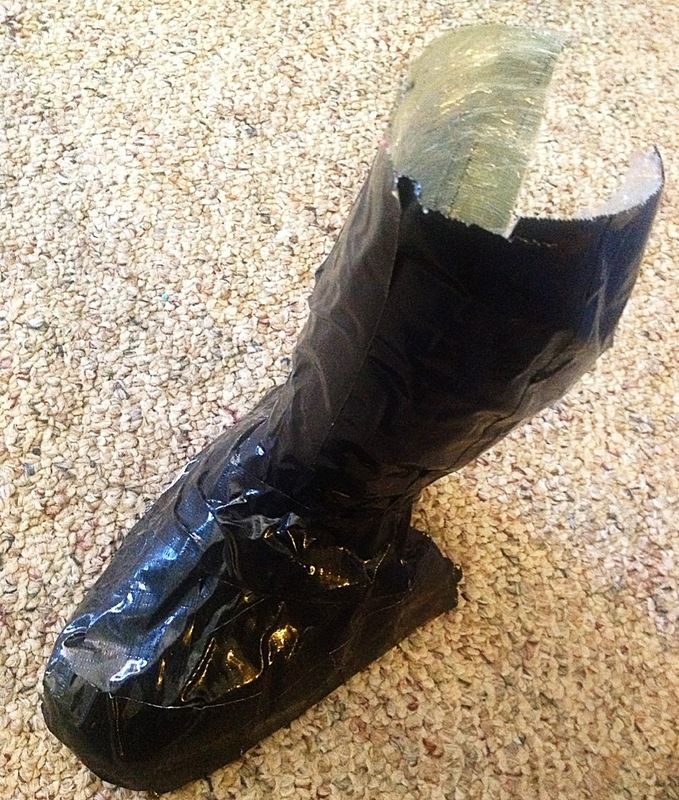 I can make about 3-4 pairs of boots with one roll of duct tape and I bought each roll for 3.50. So each pair cost me around a dollar to make and compared to the 20-30 dollar pairs I could have bought I loved the savings! I can also let them reuse them whenever they want. I would never have thought of that! Very clever. do you happen to have a picture of the back of the boot when you added more plastic and duct tape? How did you make the shirts? Did you use an iron-on transfer? I made the iron on transfers on my computer then printed them onto iron on transfer paper. Awesome! wWere the boots attached to the sneakers, or did they just go over them? If the latter, did the boots ride up at all while walking? Ours were not attached just over the shoes. They didn’t ride up at all. Where did u find the Wonder Woman icon that one specific . I really like the ring of blue around it with stars. I can not find it anywhere. Thanks for your help. 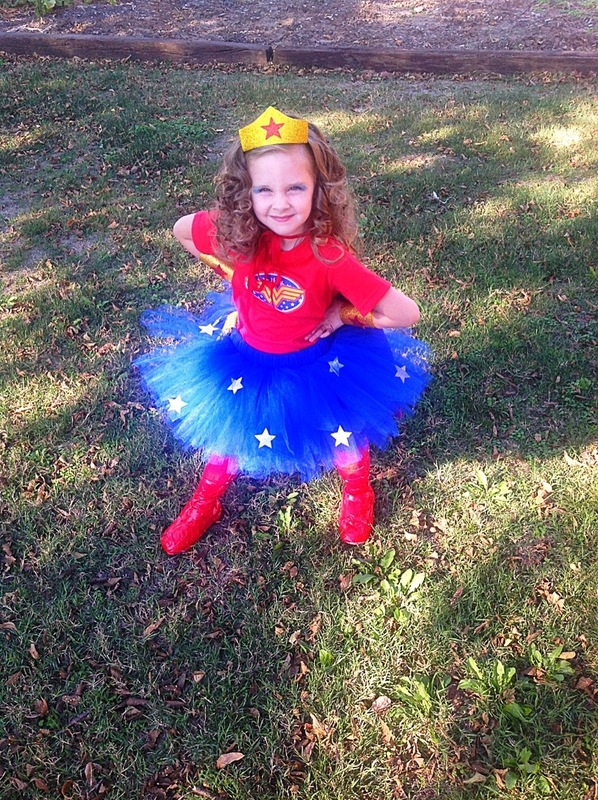 how did you make the wonder women crown? they all so good! Thanks for this tutorial! It is the easiest explanation I have found on the internet.